Pray for healing for Ryan and does well in college and gets good grades on test.Safe travel for family. Pray for my marriage and family. Babysitting goes well.Pray for A.F and family can lose weight,exercise and eat healthy.Pray for family will fast,pray and sacrifice.Pray for Liz and Scott marriage and Aiden and Ella.Pray for Tom and Alysha engagement,new home,van,girls.Pray for Mary and Nate marriage and new home,cars,jobs and being pregnant.Pray for Ryan andKylie.Pray for Ryan conversion,health,grades,jobs,finds good spouse and does well in college and close to Jesus. 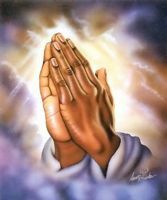 Pray A.F husband and his family get along with A.F and vice versa.